oeHealth for Odoo 10 - The wait is finally over! 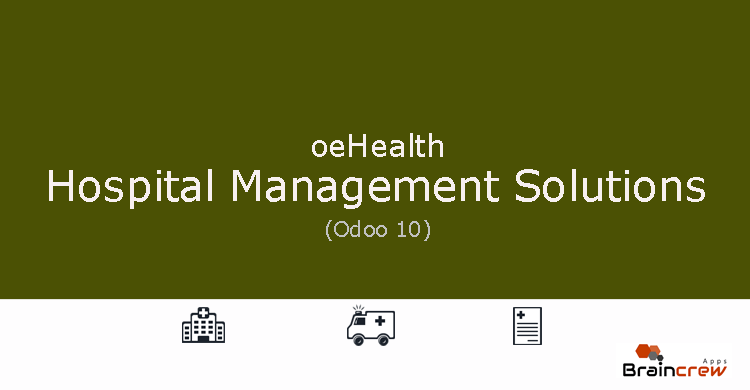 We’ve been anxiously awaiting this announcement, and the wait is finally over as we are very excited to launch the support of oeHealth for Odoo 10 version. The support is provided for all three variants of the product: oeHealth Premium, oeHealth Extra Addons & oeHealth All In One modules. A very tight integration with newly launched Odoo 10 API which makes the software works efficiently and smoothly compare to previous versions. Patient Call logs management feature. Record patient’s very important medical histories and anytime access them directly from Appointments or Walkins modules for the reference purpose. We have added support for new oeHealth user type called “Nurse” who will responsible to manage Nursing & Ambulatory care, Generate Appointments & Walkins, Manage inpatient admissions and many more. Flat 10% discount is available starting from February 27, 2016 for a limited time period. Visit our store page to get more details about the product. This entry was posted in oeHealth News and tagged health, hospitals, odoo10, oehealth, upgrade. Thank you for your message. We are glad to inform you that the module is already live and you may use below link to view the details or purchase it. a) Can this be used for multiple clinics or hospitals in the same database? b) When will the mobile edition be released and will this be free for those who purchase OEHealth Extra Addons? c) Is module tightly integrated with billing? Thank you for sharing your queries but it would be nice if you can forward on our support email info@oehealth.in so our team can reply back to you with the detailed feedback.